FAR EAST TEXTILES THREATEN WORKERS FOR EXERCISING THEIR RIGHT. 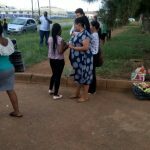 The Amalgamated Trade Union of Swaziland (ATUSWA) is amazed by the level of abuse, the worst so far being dished out by Far East Textiles (PTY) LTD against its employees. It is shocking that a company like this would even be allowed to operate in a country which supposedly respect workers’ rights not to mention it being able to produce for a market which insist on adherence to the dictates of international agreements. In the past 2 days Far East have done what other employers would dare do in a year. Just for joining our organization and for showing interest to join ATUSWA the company unleashed terror to the workers by threatening not to pay their wages, closing down the factory and dismissing those suspected to have joined the union. The company also coerced the workers to beat up union officials and organizers and when this satanic plan was not carried out the employer decided to take things to her own hands by unleashing management to go out of the company gates to look out and take pictures of all those who are seen interacting with the union deployees and signing membership forms. We are aware that some of the work being done at Far East is originally meant for companies which recognizes trade unions in general, in particular our own. Work meant for workers should not be done by slaves for Far East workers work like slaves because they are forced to work unpaid overtime for failing to meet unreasonably high targets, forced to work until 1900hrs or 2300hrs and forced to walk long distances in the still of the night as a result of the company’s failure to provide transport. We call on the Department of Labour to ensure that workers are protected against such abuse and inhumane treatment. We also call on all those doing business with Far East to ensure that the company toe the justice line. 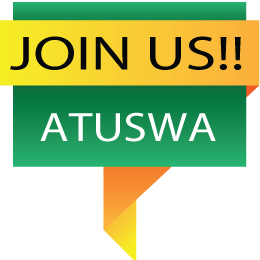 To the workers we say do not despair, ATUSWA is here to work with you to improve your individual and collective conditions. The only weapon we have in our endeavor of ensuring that we have a fighting chance is to unite.